I’m tempted to post each and every car on its own but the mods won’t like that so here they are all at once. 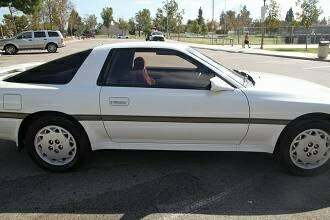 First up is an all-original manual 1987 Supra. No word on if it’s the turbo. After that we have an absolutely brand-new looking manual 1987 Jetta 1.8 coupe. Then there’s this very nice looking E23. If that’s not your style you could get this manual 1.8T A4 Quattro for an easy $1700. Lastly we have a $1500 SC400. HIDs & the awful walk-around video the ad links to point to a car you should avoid, so this is a likely CP unless you are itching very badly for one of these. The video shows a well abused interior and what looks like a broken tach. For your own safety, please turn down your volume before pressing play. This stuff is all just from a search of <$5000.